NASHVILLE – The Tennessee Bureau of Investigation joins the Drug Enforcement Administration for a program this Saturday that gives Tennesseans a chance to rid their homes of potentially dangerous expired, unused and unwanted prescription pills. From 10 a.m. to 2 p.m. this Saturday, April 29, residents can drop off pills or patches to be disposed of at locations all across the state. The service is free and anonymous. The DEA cannot accept liquids, needles or sharps. The abuse of prescription drugs, particularly opioid pain killers, has resulted in epidemic levels of addiction, overdoses and death across the country. These unused and unwanted prescription drugs, when left in drawers and cabinets, are at risk of being used, stolen or sold by family members and visitors. According to the DEA, the majority of prescription drug abusers report they obtain their drugs from friends and family, including from the home medicine cabinet. The DEA’s website can help you find a location near you for this Saturday’s Prescription Drug Take Back event: https://www.dea.gov/index.shtml. If you can’t make it to a drop-off location this Saturday, TBI offices in Nashville and Chattanooga are among more than 220 permanent collection bins that exist across all 95 counties. Boxes at these facilities are available for residents to drop off all unused, outdated or unnecessary prescription drugs. 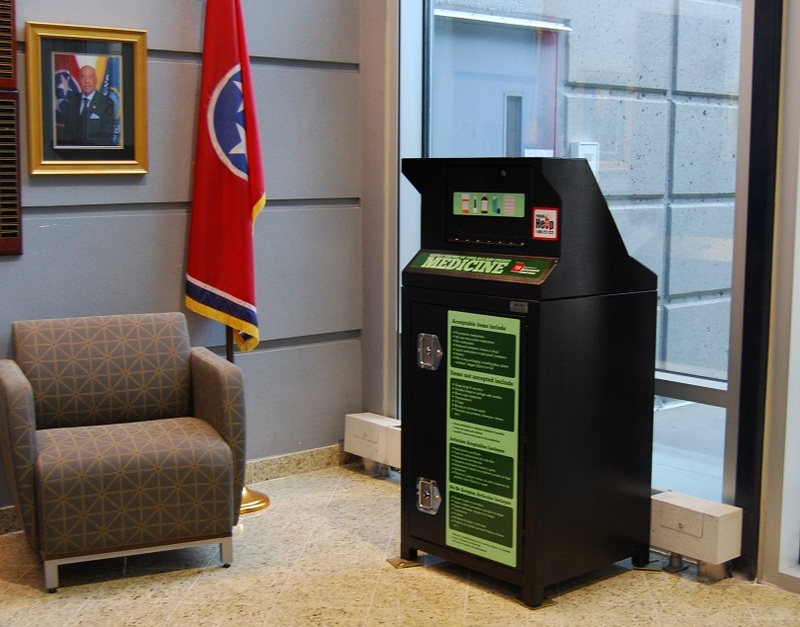 A drop-off box is in the lobby at TBI Headquarters at 901 R.S. Gass Boulevard in Nashville, and at the TBI Chattanooga office at 6040 Century Oaks Drive. 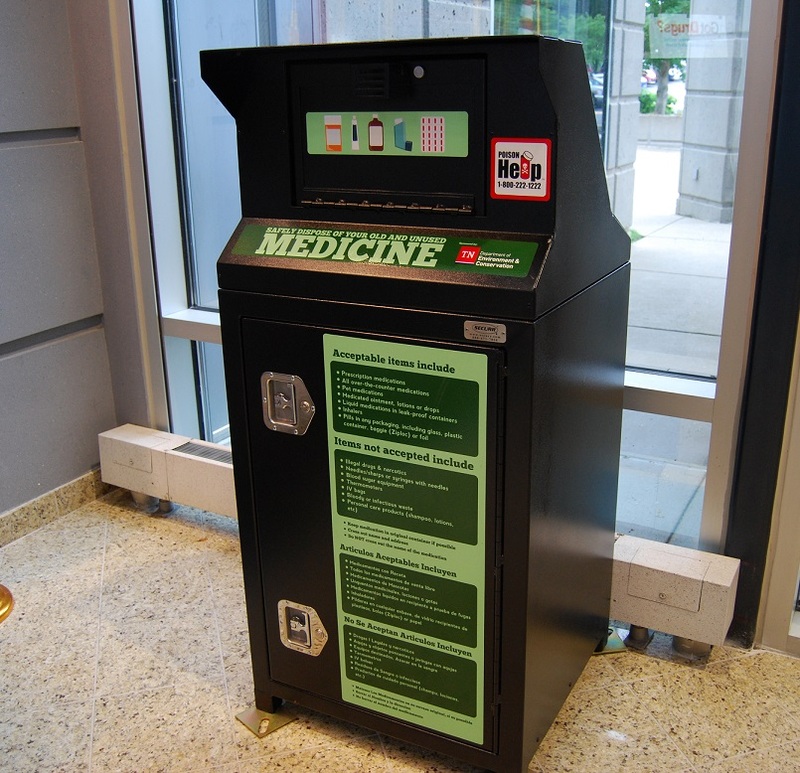 To find other locations across the state that have a permanent bin for disposing of unwanted household pharmaceuticals, visit http://tn.gov/environment/article/sp-unwanted-pharmaceuticals.